He created custom show cars in his garage. He was a struggling artist who financed his inventions by selling drawings and t-shirts at drag events, fairs, and car shows. When he personally airbrushed t-shirts with the monsters driving the cars, people lined up at his booth. Ed’s most popular monster was Rat Fink. 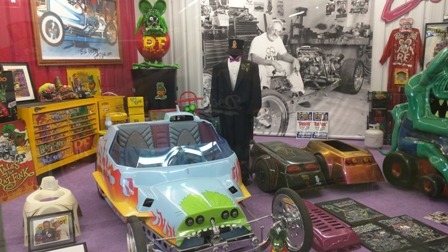 He was a genius at designing cars, but it was Rat Fink that brought him fame. He converted to the Church in 1974, he was living in Manti, Utah at the time of his death. 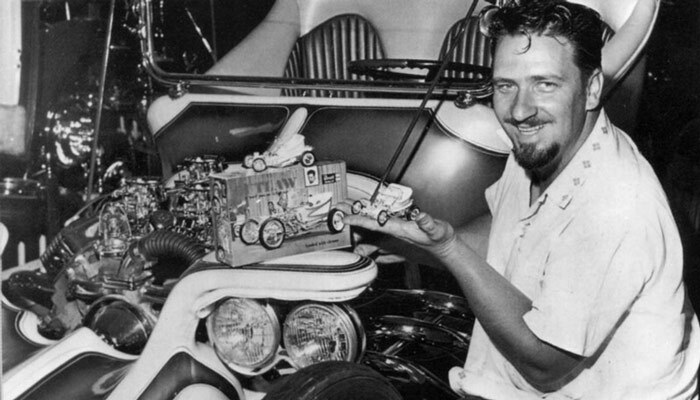 Ed Roth began driving cars when he was 12 years old. It was in Southern California, right after World War II, and cars were what every young man was dreaming about. At first Ed did the same thing his buddies were doing—he’d buy an old car, like a 1932 three-window coupe, and customize it for racing or cruising. Then, in the late 1950s, he did something no one else had tried—he started building cars from scratch. Using simple tools, junkyard parts, and a new, inexpensive material called fiberglass, Ed created automobiles in his garage. The first one was named, appropriately enough, “The Outlaw.” It was proof that anyone can indeed “do it yourself” without a team of engineers and a Detroit assembly line. All that was really needed was hard work and imagination. Ed had plenty of imagination to spare. He became known as “Big Daddy,” a hot-rod Dr. Frankenstein who was more of a struggling artist than a mechanic. His garage became his studio. His cars were never meant to be driven—they were sculptures on wheels. “The Outlaw” was followed by the “Beatnik Bandit” and then “Rotar.” Big Daddy had to finance his creations by selling T-shirts. 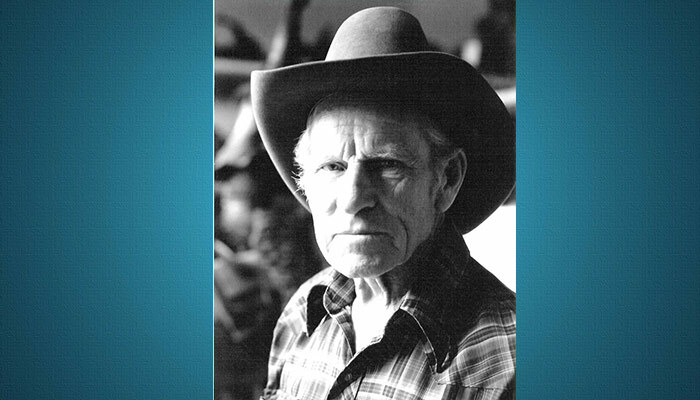 On weekends, he would set up a booth at a drag strip, car show, or county fair and personally airbrush shirts. He began by drawing cartoons of monsters and pictures of cars, but when he airbrushed T-shirts with monsters driving cars, people began to line up at his booth. Big Daddy’s outrageous car designs and his bug-eyed, anti-hero cartoon character “Rat Fink” helped define the California hot-rod culture of the 1950s and 1960s. He re-examined his life after a divorce and the failure of a magazine venture. 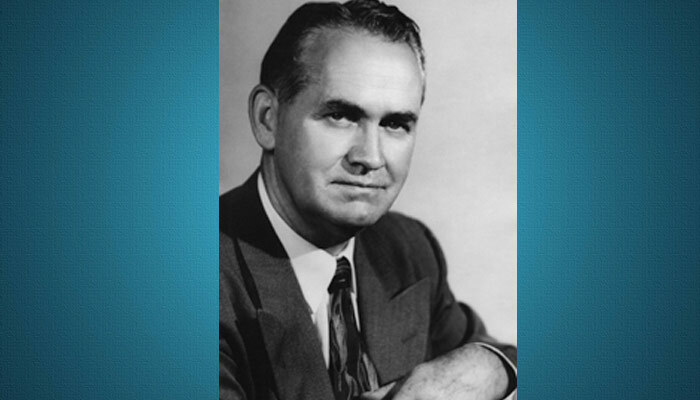 He soon joined The Church of Jesus Christ of Latter-day Saints, leading him to put LDS symbols and references in his car designs. He moved to Manti, Utah, in 1974. Since Ed passed away, an annual “Big Daddy Roth” Open House has been held in Manti around the anniversary of his death. 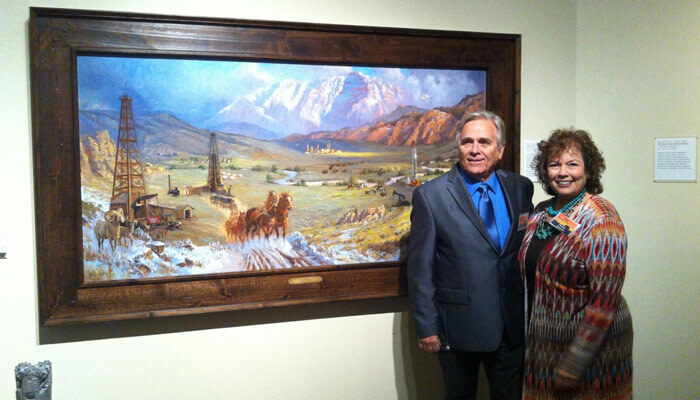 The museum that Ilene Roth created as a tribute to her late husband includes displays of Ed’s art work, cars and other memorabilia.